Pineapples are literally flavour of the moment, they have been making appearances all over the place from the catwalks to home interiors. Gorgeously kitsch with a seventies twist! 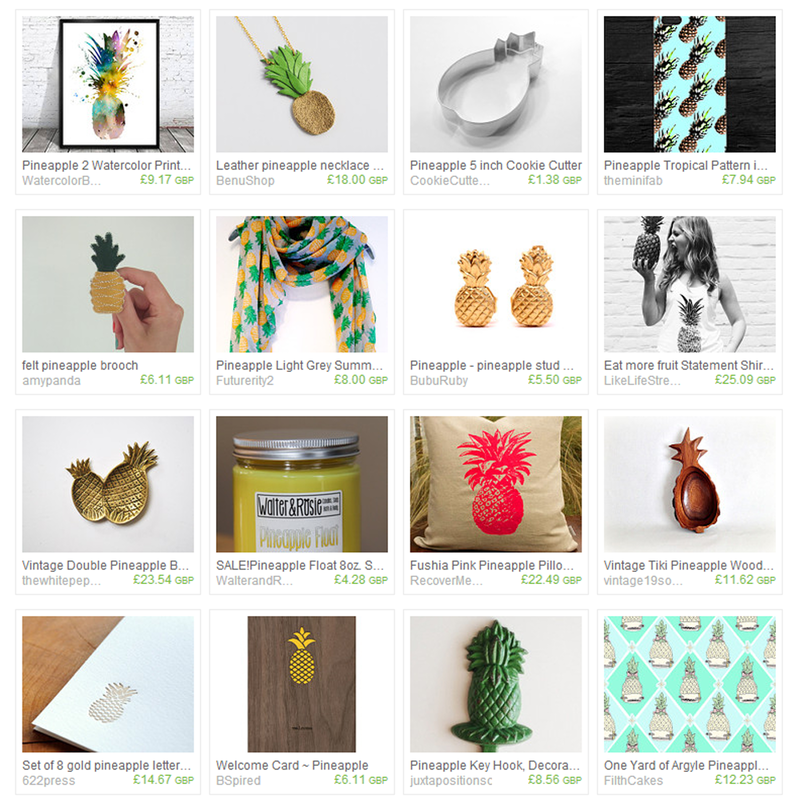 If it has a pineapple on it, buy it now, you wont regret it! Head over to Etsy.com to check out my newest treasury where you can find the links to all the amazing goodies pictured above. I love that pink pineapple cushion! Great for kids rooms. Will go to etsy to check them out. Thanks for sharing. Want Advertise With Us? Now You Can!